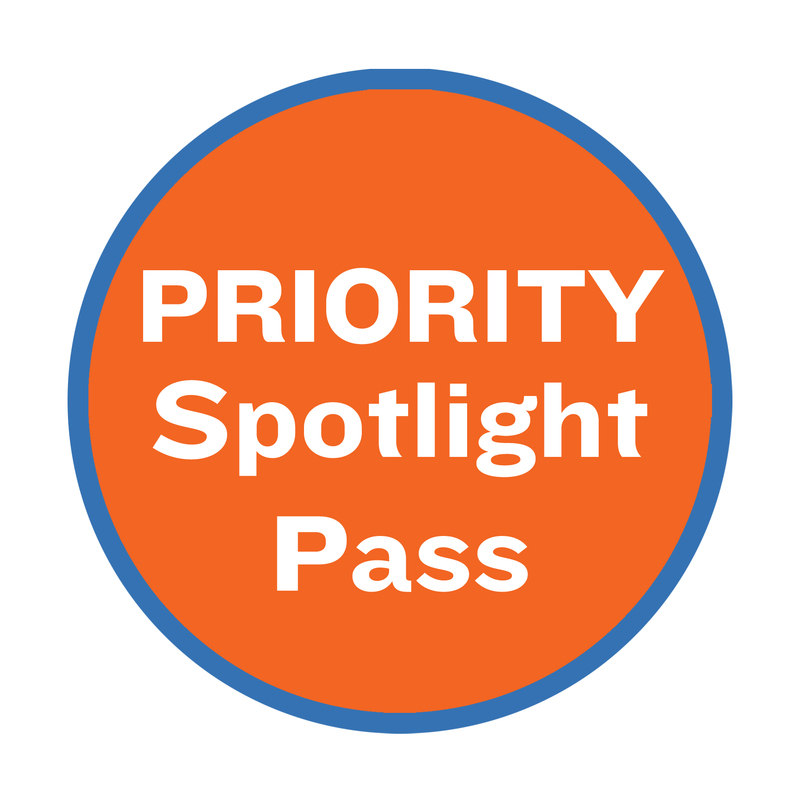 A great option for busy families, a Priority Spotlight Pass is like purchasing season tickets without committing to a set schedule. The flexible pass includes 10 tickets for any show in our season. You may use all your passes on a single production or spread them out over any combination of shows throughout the season. With a Priority Spotlight Pass, it’s all up to you! Purchase your Priority Spotlight Pass online or by calling The Coterie box office at 816.474.6552. When you are ready to schedule your show(s), call the Box Office and reserve your tickets by giving them your name, performance date(s), and ticket quantity. Stop by Will Call to pick up your tickets when you arrive at the theatre and then enjoy the show! Once you’ve used all 10 tickets and would like to attend additional performances during the season, contact the box office to purchase another set of 10 tickets. Enjoy Priority Seating - Spotlight Priority Pass holders are invited to enter the theatre first to select the seats of their choice. Flexible Scheduling - See a single show or any number of shows you choose. Free and flexible ticket exchanges - If you can't make a performance, you can easily exchange your tickets for another date by phone or at the box office. It's hassle free and free of charge. Complimentary Kansas City Performing Arts Cooperative Discount card, which allows holders to receive a one-time discount for two-for-one tickets at participating arts organizations (some restrictions apply). Participating organizations include American Jazz Museum, The Folly Jazz Series, The Friends of Chamber Music, Harriman-Jewell Series, Kansas City Ballet, Kansas City Repertory Theatre, Kansas City Symphony, Performing Arts Series at JCCC, Quality Hill Playhouse, UMKC Conservatory of Music and Dance, and Unicorn Theatre. 2 Free Tickets to gift to your child's teacher for Teacher Appreciation Day! Or call The Coterie's box office at 816.474.6552. Reservations are made on a first come, first served basis. Priority Spotlight Pass holders are encouraged to call early to ensure availability. Free ticket exchanges require a 24-hour notice.  Due to the nature of live theatre, play selection, performance schedule, ticket pricing, and casting are subject to change. 2018-2019 Priority Spotlight Passes expire on August 4, 2019. Priority Spotlight Pass Holders are encouraged to share any unused tickets with friends or family as The Coterie does not provide refunds on unused tickets. 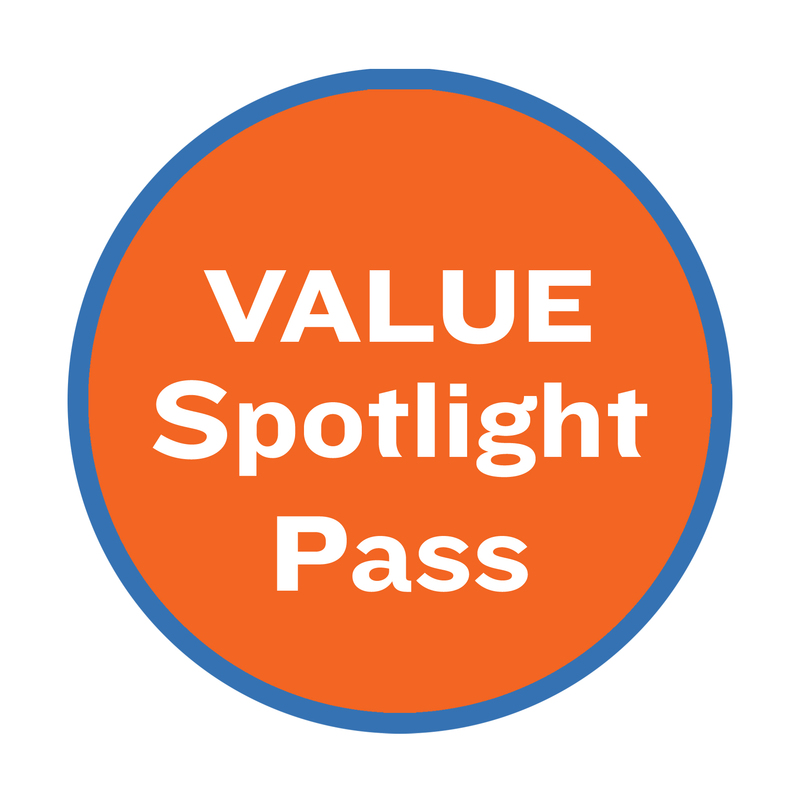 2019-2020 Value Spotlight Passes expire on August 2, 2020. Priority Spotlight Pass Holders are encouraged to share any unused tickets with friends or family as The Coterie does not provide refunds on unused tickets. A budget-friendly option for families, a Value Spotlight Pass is like purchasing season tickets without committing to a set schedule. The flexible pass includes 10 tickets to our season (EXCLUDING A Charlie Brown Christmas. You may use all your passes on a single production or spread them out over any combination of shows throughout the season (EXCLUDING A Charlie Brown Christmas. With a Value Spotlight Pass, it’s all up to you! Purchase your Value Spotlight Pass online or by calling The Coterie box office at 816.474.6552. (EXCLUDING A Charlie Brown Christmas). Reservations are made on a first come, first served basis. Value Spotlight Pass holders are encouraged to call early to ensure availability. 2018-2019 Value Spotlight Club passes expire on August 4, 2019. Value Spotlight Pass Holders are encouraged to share any unused tickets with friends or family as The Coterie does not provide refunds on unused tickets. 2019-2020 Value Spotlight Passes expire on August 2, 2020. Value Spotlight Pass Holders are encouraged to share any unused tickets with friends or family as The Coterie does not provide refunds on unused tickets.